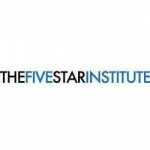 The Five Star Conference and Expo is an integral source of information, collaboration, and progression for the housing and mortgage industry. Having long been a fountain of diverse perspectives and a platform for all voices throughout the industry, the Five Star is making inclusion the theme of the 2017 conference. The 2017 Five Star Conference and Expo will explore the theme of inclusion from all angles—from the inclusion of ideas and voices from all sectors of housing and mortgage to the promotion of diversity and inclusion throughout the industry. From the diverse roles that make up our industry and the diverse individuals who work in those roles to the various backgrounds and financial profiles of those the housing industry aims to serve. The 2017 Five Star Conference and Expo is committed to introducing new voices and original perspectives with a goal of advancing the industry, strengthening its professionals, and increasing access to homeownership for all Americans. Join thousands of professionals, explore hundreds of exhibits, and take part in dozens of interactive events at the largest event in mortgage servicing, the 2017 Five Star Conference and Expo. Designed to take your business to the next level, the Five Star Conference and Expo offers industry-wide networking opportunities, Academic Labs led by esteemed experts, industry-recognized certifications, and exclusive membership events. It’s the Five Star. It’s where business gets done. Register here for the conference and we hope to see you there! This entry was posted in Events and tagged 2017 Five Star Conference, Dallas on August 31, 2017 by Chelsea Strong.